Oh my god oh my god oh my god I just had an amazing idea! What if dodge took the hellcat motor, put two turbos on it (while keeping the supercharger) and then stuck two of those together? Twincharged V16!! Also, stick that in the Viper (or make a new car with MR layout) and make the Viper Hellcat! 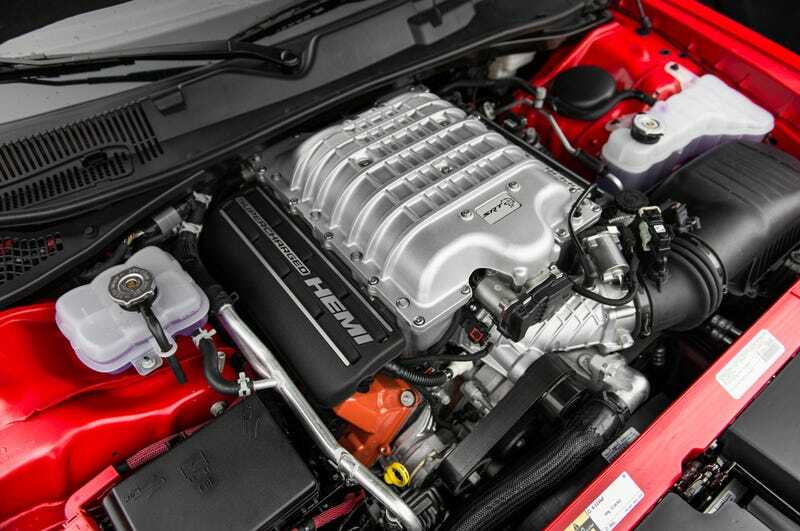 If just supercharged means 700 HP each, plus the twin turbos so extra 150 maybe? x2 = 1700 HP! In a front engined car (or mid). That would almost definitely be the fastest car ever!